Lately, I find myself feeling tired with some body aches. I know the signs of aging, but it could also due to stress and over fatigue. The unpredictable weather in Manila makes me more sick. I benefited from drinking lots of water and juices. I also like teas of different flavors. 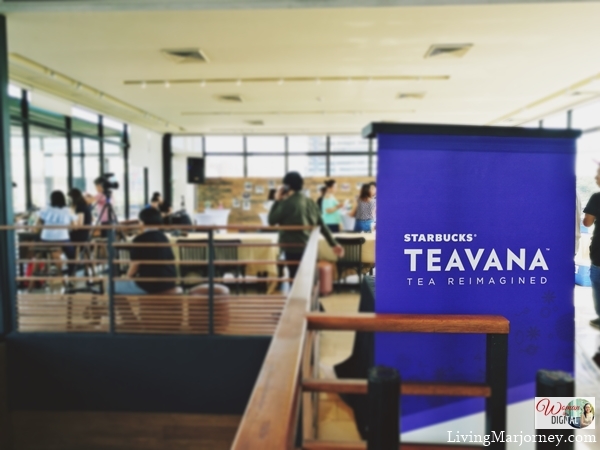 So I'm happy that Starbucks Philippines hosted an intimate lunch to introduce their newest addition to tea concoction, Starbucks TEAVANA Frozen Teas. Between the two, my favorite is the signature Chamomile tea with whole Kyoho grapes has honey white grape puree. But what I like more about this iced beverage is the bits of aloe that gives additional texture with a cool, sweet and refreshing flavor. For your information, Kyoho is a giant mountain grapes from Japan, skinned, pitted and left whole to maintain their texture. 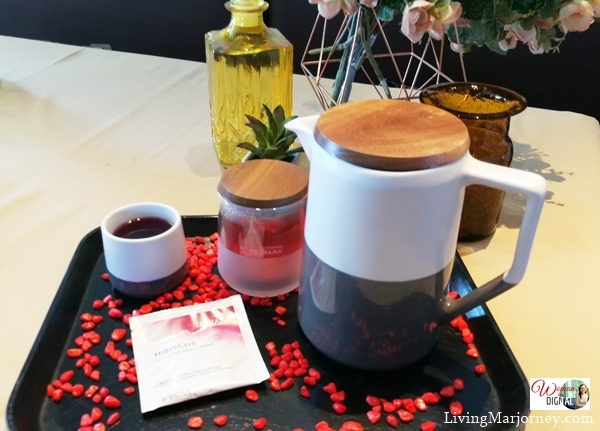 However, the TEAVANA® Frozen Hibiscus Tea with Pomegranate pearls is made with natural flavors of tropical papaya and mango, and hints of cinnamon and lemongrass. So imagine the nutrients in every cup of Frozen Hibiscus Tea. In addition, pomegranate is also great for the skin as it moisturizes and hydrates our skin. The pomegranate pearls complement the tea with the lightly sweet and tart flavor of real pomegranate juice. 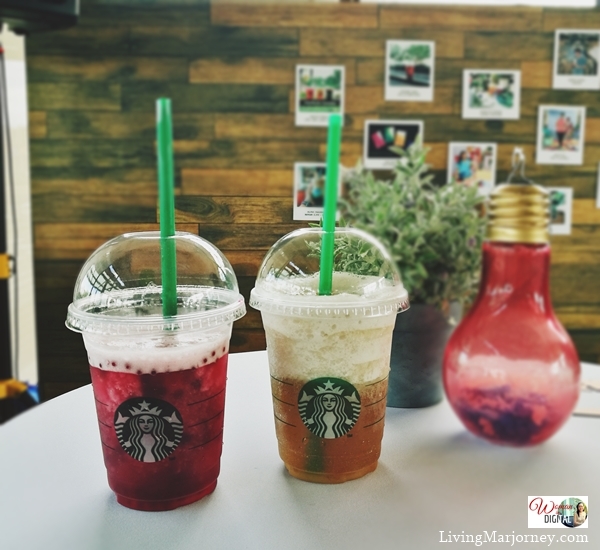 These two new iced beverages from Starbucks Teavana are not only refreshing but also pack with health benefits. Starbucks TEAVANA teas has been my favorite drink during the rainy days especially the Chamomile and Hibiscus. Teas are best remedy for stomach upset, cough and colds. Presenting to you the two new Frozen Teas from Starbucks TEAVANA - Frozen Hibiscus Tea with Pomegranate pearls and Chamomile tea with whole Kyoho grapes. Frozen Hibiscus Tea with Pomegranate pearls and Chamomile tea with whole Kyoho grapes. 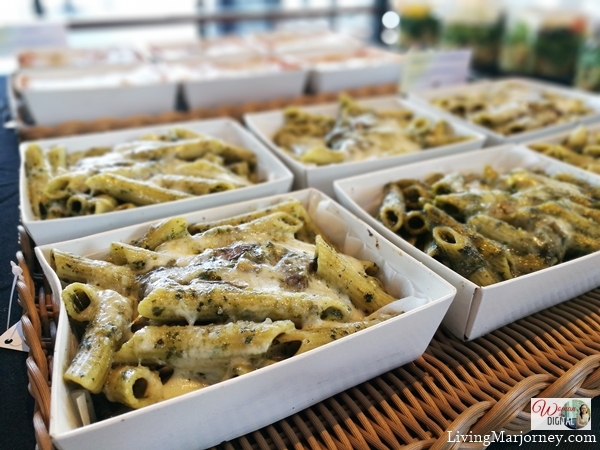 We also enjoyed a sumptuous and filling meals comprises of Penne Pesto with Mushroom and Classic Beef lasagna. Salads such as Arugula Pasta with Creamy Parmesan & Vermicelli Chicken Salad. They are available at selected Starbucks stores nationwide. 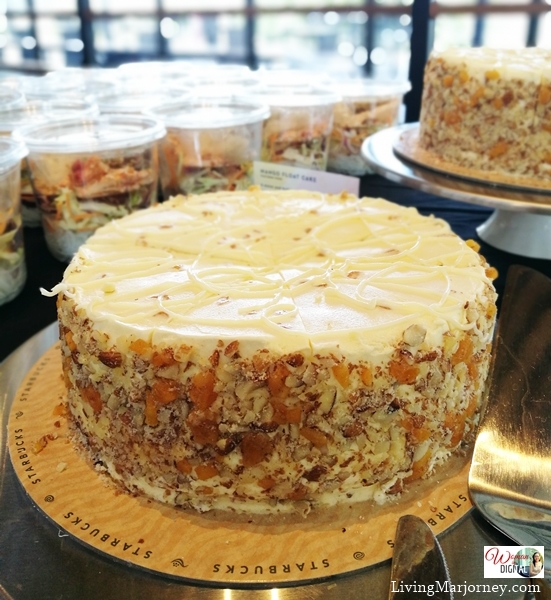 For dessert, I think you should watch out for the release of this Mango Float cake. 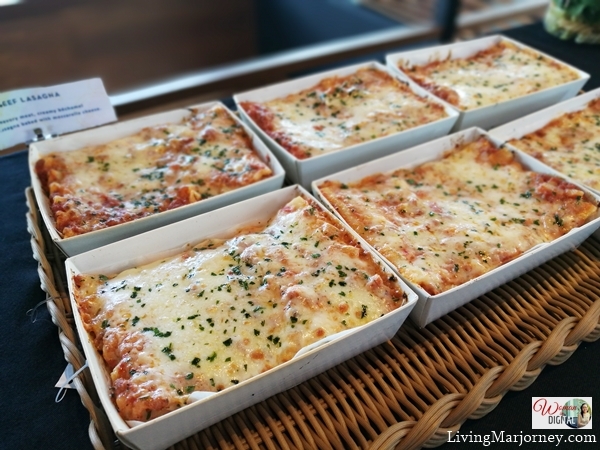 It's moist, buttery and lightly sweet and indulgent Starbucks cake. It taste and look like sansrival cake but no, the mango float cake is my current favorite. 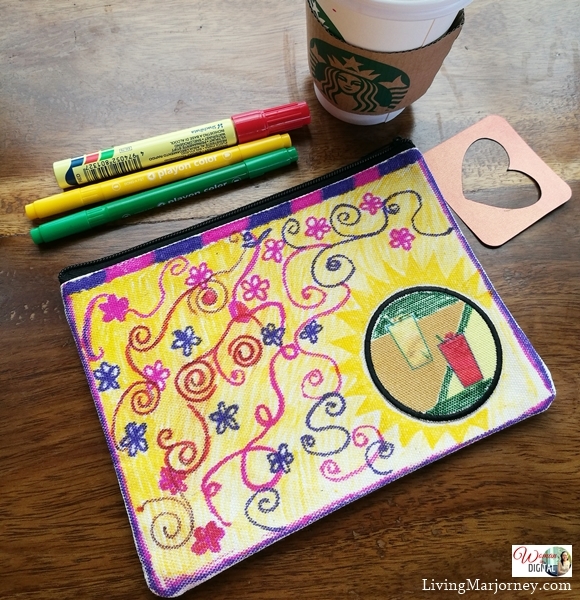 Guests enjoyed designing their own Starbucks pouch. Here's what I did. I did not won the best DIY design your Starbucks pouch but I enjoyed the activity. 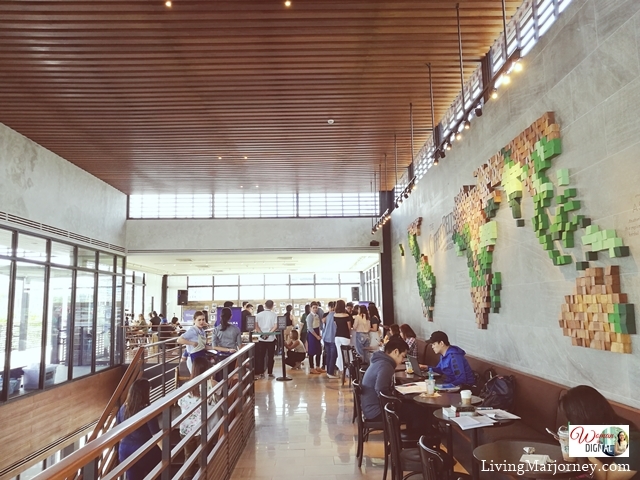 Take a look at the 2nd floor of the biggest Starbucks store in the Philippines located along Macapagal avenue. It can accommodate up to 222 people. 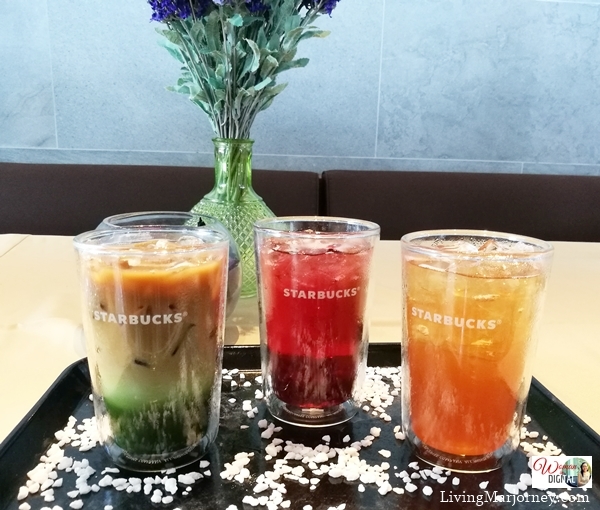 Here's a special treat to all Starbucks fans and card holders, you can enjoy these ice-smooth Starbucks Teavana Frozen Teas from September 9-11 just pay the full amount of the beverage using your Starbucks Card to avail of the early access promo. 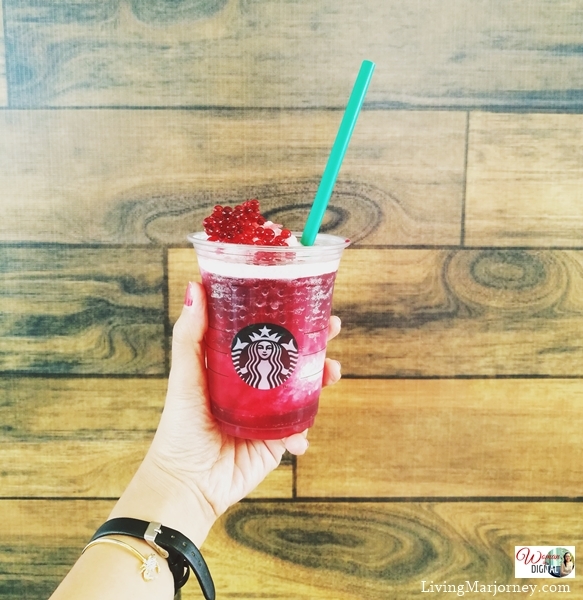 Regular selling of these Frozen Teas will start on September 12 until supply (ingredient) lasts so better visit the nearest Starbucks now.